Right Click on the above certificate and print. Once printed you will need to Print, Date and Sign your name. 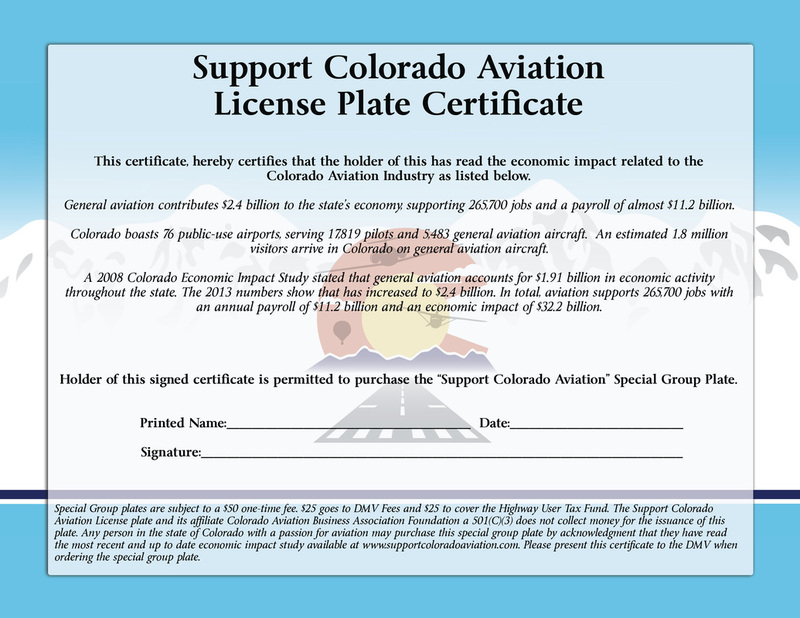 You must have this certificate when you go to the DMV to order the Support Colorado Aviation Special Group Plate.